When the travel bug bites, you want to just get up and go. If you lead a busy lifestyle and you have to factor in travel plans between meetings, you will need help. You will also need help if you are going to a place for the first time. You will need a travel planner. Say for instance you plan to travel to India. It would lift a huge load off your shoulders if you could get a firm to plan your getaway. Getting someone to help you plan is as easy as clicking that mouse on a site like IndiaSomeday.com travel planner. There are many sites like these that can give you contacts to a firm that will give you the services you need. Pros of Using a Travel Planner. 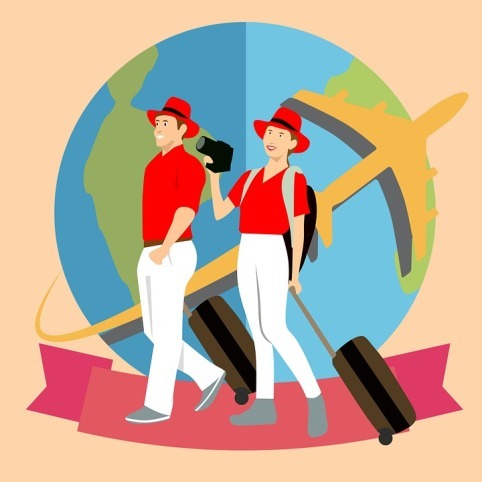 There are a plethora of travel sites online that you can visit and book flights and hotels without going through travel agents. However, there are advantages of having a travel planner make all your arrangements for you. 1. A planner saves you a lot of time. Browsing the internet in search of information is all good if you have an idea of what to look for. Sometimes, you might just be winging it which uses up a lot of your time. Travel planners have access to all the information you are seeking and they know who to contact for the best deals to suit your budget. They also know who is offering a great package, who has a promotion running and who not to trust. 2. They can quickly rebook your flight in cases of unforeseen delays. If you had booked your flight to India with a planner and then some unforeseen situation crops up, your planner can quickly make alternative arrangements for you. If you booked it yourself, you could find yourself stumped. Finding someone to sort your issues out urgently may not be possible and if you find that your accommodations are not to your liking, you will have to deal with the hotel yourself. A travel planner can get things moving faster than you in such a scenario. Travel planners or agents have links to just about everyone in the tour industry. They know the hotels which are giving the best discounts, the best cruises to take and also where you can get the best service. In other words, they are armed with inside information. They will assist you where need be. You will avoid wasting money on unscrupulous deals from locals who might be out to take advantage of you. All that you need to do is relax and enjoy your trip. Travel planners or agents always have hotels and other tourist service players kowtowing to them because they will in return give them business. They are therefore in a position to ask for favours on your behalf. If you need to make special plans outside of the usual provisions, it is easier for your planner to get a positive response that it is for you. Making plans via travel agency or planner will definitely give you that peace of mind you need to enjoy your trip as all the intricate details are taken care of, so it would not do any harm to check out travel sites like IndiaSomeday.com travel planner and related sites for information that you need.